I remember how excited I was to read “Still Alice” the book by Lisa Genova. 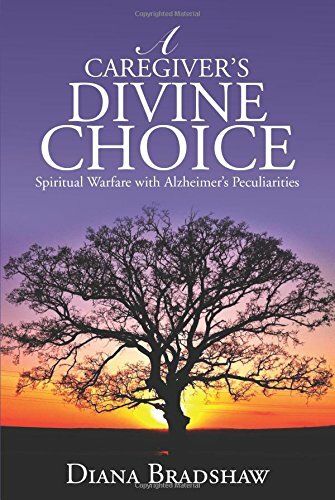 Most Alzheimer’s books are written by Wives or Husbands, Sons or Daughters or some other relative who was Caregiver for a loved one with Alzheimer’s. Caring for someone with Alzheimer’s dementia makes such an impact on the Carer’s life that it is common to want to share that experience through a book. 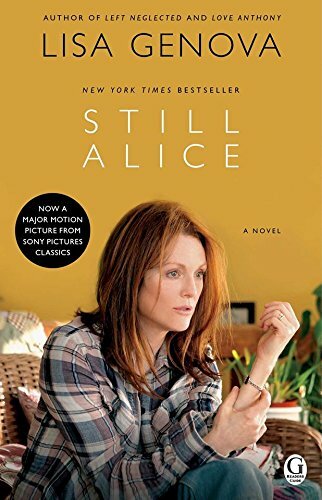 “Still Alice” the book was written by Neuroscientist and debut novelist Lisa Genova who researched her subject matter so well that the book became an all-time Bestseller and thrilled caregivers thirsting for more knowledge of this disease. I haven’t seen the movie, myself, but can hardly wait till I have a chance to see it. One of our regular contributors has seen the movie and shares her Review of the Movie. Who are we but a composite of our collected memories and experiences? If we lose the knowledge of those experiences, if we lose grasp on those memories, are we still ourselves? In the film Still Alice Julianne Moore plays Alice, a middle-aged linguist, professor, mother, and wife who finds her mind succumbing to early-onset Alzheimer’s disease, leading her to question if she is losing herself to the disease as well. The film (still available online as well as from platforms like DTV and CinemaNow) earned Moore her first Academy Award for Best Actress. Alice Howland defines herself by her intelligence and the life that intelligence has given her. She’s had a brilliant career of teaching and lecturing on linguistics. She has three grown children who are each exceptional in their own way (a lawyer, a medical student on the way to becoming a doctor, an aspiring actress) and a husband who has also carved out a career in academia. So when she begins forgetting things – a word here, a name there, a class topic before a lecture – the diagnosis comes as a shock. She’s just turned 50 and still considers her brain one of her greatest assets. The thought that it might all unravel is too painful to bear. But there’s no denying the disease. And she is not the only one to be affected by it. Her children have lives of their own, as does her husband. Putting those things to the side to take care of Alice is not in anyone’s game plan. Especially when it becomes apparent that her mental degeneration is happening much more rapidly than anyone could prepare for. 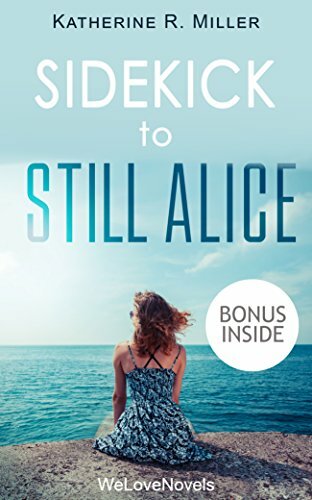 As the weeks and months go by Alice forgets more and more of her life and the people in it, though she struggles to hold on to as much as she can. She fights her mind, she fights to hold on to memories, in order to keep herself from losing absolutely everything. At one point her youngest daughter asks her what it is like to suffer through a disease like Alzheimer’s. Alice’s response is brutal but honest. Of course, in this story Alice isn’t the only one coming to terms with loss. Her husband has to accept the fact that he will lose the partner he has built his life with. 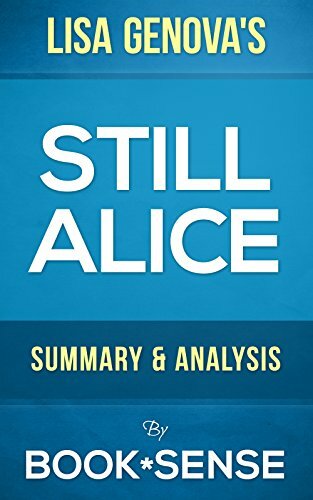 At first he doesn’t want to believe the diagnosis and denies it, and it is only Alice’s anger towards him that convinces him he needs to be concerned. Her children have to be tested to see if they carry the risk of early-onset Alzheimer’s as well, and what that could mean to their own children and spouses one day. It isn’t easy on anyone and this film takes the time to show that. It doesn’t sugar coat things. When Alice decides she wants to opt-out later on when her memory has gone so far that she can’t remember her oldest daughter’s name, it isn’t a surprising move considering the fact that she was someone who “lived a life of the mind” as a professor (and also confessed earlier on to her husband she’d rather have cancer than deal with Alzheimer’s). When she attempts to follow through on that plan after the disease has progressed, it is terribly sad but also very understandable. She is not a person who wants to live a life she can’t recognize or remember. But by the time she tries to take this option it is already too late for her to make that choice. In many films, Alzheimer’s never moves beyond the background of the story. Its typically suffered by secondary characters with whom the main characters may interact with briefly before going about their lives. Or, an important character may have Alzheimer’s, but all the film shows is a fuzzy memory. In Still Alice the disease is front and center. From the moment the first symptoms show up (Alice forgets meeting new people, can’t remember words or names, and even gets lost on a campus she has been on hundreds of times before), this film attempts to give as honest and realistic a portrayal of early-onset Alzheimer’s as possible. Alice’s memory loss isn’t immediate and it does go back and forth in severity, sometimes from day to day. One minute she can hold an almost normal conversation, and the next she can’t remember where the bathroom is in her own home. Julianne Moore shows the pain and confusion Alice feels as she deals with her degeneration in as intense and human way as possible. Sometimes she smiles, sometimes she cries, sometimes she gets angry and yells at whoever will listen. She uses technology like her phone to help her remember important dates, locations and people, but it isn’t always enough. 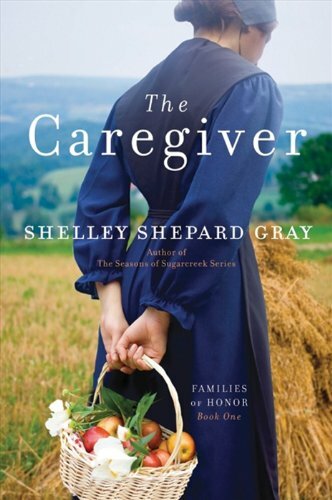 As time passes and the disease progresses she grows quieter, more childlike, needing a caregiver and her youngest daughter to watch over her every moment. Still Alice is a beautiful, tragic, but ultimately hopeful film. Not because it has a fairytale happy ending, but because even in the end, when she can remember very little of the life she has led or the people that have filled it, Alice can remember one important, singular truth. Her youngest daughter asks, after reading her a passage from a play, what the passage was about. And Alice’s only response is “love.” It was about love. Her memories and her life and the people who populated it, all of the actions she took and the places she went, everything that made up the self she was so desperate to hold on to. In the end, it was all about love. It is surprisingly common and understandable to want to care for a parent or loved one with Alzheimer’s at home. The comfort of a known environment and the love that can be given are decisive factors. Dealing with someone with Alzheimer’s means adapting daily to changing needs and abilities. What was once second nature can either gradually or instantly be forgotten and assistance can be required with regular activities such as dressing or eating. This can place the caregiver under a large amount of stress which is increased when the person with Alzheimer’s begins to display abnormal personality traits. Previously contented people can become agitated easily and often wander away or experience hallucinations. Caring for people with Alzheimer’s is a full time job in itself. A plan is essential. Every day should involve a pre-determined routine and a plan for the various activities that will be necessary – whether a trip to the shops or the doctors. It is also important to think ahead and plan for things that might happen ahead of time, what to do when things go wrong and to create a back-up plan. Another useful approach is to consider in advance the best way of dealing with any particularly difficult traits or behavioral patterns which are developing. It is a certainty that each day will hold a certain level of stress and a caregiver needs to know how to both handle these situations and to de-stress themselves. It is common for a person with Alzheimer’s to be much more coherent and more co-operative at roughly the same time each day. If this is the case then this can be the best opportunity to talk to them or to do chores which distract you from the pressure of constantly watching over them. As the disease progresses it is likely that their traits will change and you will need to rethink your approach many times. Be patient and try not to lose your temper if you notice that your loved one can’t understand what you’re trying to say. As the persons illness progresses it can become more difficult for them to understand you as well as you to understand what they are trying to tell you. • The best method to minimize the stress of this is to keep your sentences short and simple – always using a calm voice. The patient is still a person and it is never advisable to talk down to them, no matter how frustrating the situation may be. • It is also essential to turn off the TV or radio when trying to talk. A lack of distractions will maximize your chances of understanding each other. 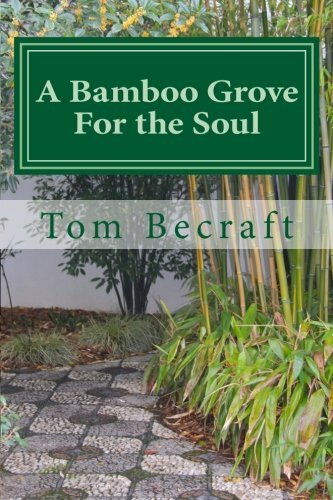 • Just as before they were ill be certain to call them by name and make eye contact – the emphasis is on obtaining their attention and focus before starting a conversation. 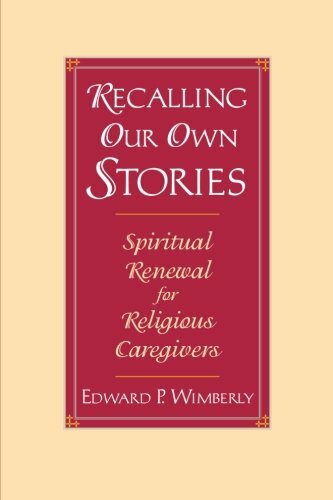 • A person with Alzheimer’s may take longer to gather their thoughts and words when talking. It may be frustrating but it is important to allow them the opportunity to reply to your question and not to interrupt them while they are doing so. • Tact is essential. Some words may elude the person with Alzheimer’s and this will be a source of frustration to them. Gently encourage them or prompt them with the right word to allow them the dignity of finishing their sentence. • All questions and concerns should be phrased in a positive way. Someone with memory loss can feel trapped and negative questions and responses will increase their chance of depression. Your parent is still a person even if you can only see a hint of who they once were. Always try to listen and address their concerns, no matter how hard they are to understand. Caring for an aging parent with Alzheimer’s is an overwhelming task; but it’s not something impossible to do provided that you get to know the illness and understand the manifestation of its side effects. Author : Edward Francis and Foresthc.com! As one of the top 10 causes of death in the United States, Alzheimer’s disproportionately affects the elderly and over five million Americans are affected by the disease. “Alzheimer’s is the only top 10 American cause of death that cannot be slowed, cured or prevented, and one out of three elderly Americans dies from Alzheimer’s or some other form of dementia,” states the Alzheimer’s Association. Given these dire statistics, providing seniors with proper Alzheimer’s care and treatment is essential. When dealing with Alzheimer’s, it is imperative to diagnose Alzheimer’s early, and most importantly, accurately. This way, you can treat all of the Alzheimer’s symptoms such as memory loss and behavioral issues as effectively as possible. The following article provides essential tips on assessing, diagnosing and treating Alzheimer’s in the elderly. Although Alzheimer’s is a dire disease, it can be diagnosed and treated. A diagnosis can now be performed with more than 90 percent accuracy, and if Alzheimer’s is diagnosed early, patients have the time to make informed decisions and plan for the future effectively. While an early diagnosis is certainly essential, an accurate diagnosis is just as important. An estimated 600,000 Americans have been misdiagnosed as having dementia, but in actuality they have an Alzheimer’s sub-type. This sub-type manifests in such a way that patients still have a near normal memory, and this causes doctors to misdiagnose them as having a form of dementia since Alzheimer’s patients typically suffer from memory loss. Based on this study, patients with irritable outbursts and behavioral issues are not precluded from having Alzheimer’s simply because they do not have memory loss. As such, it is essential to keep in mind that your loved ones may have an Alzheimer’s sub-type even if they do not demonstrate symptoms of memory loss. Although memory loss itself cannot be slowed or prevented with medication, you can alleviate the symptoms. The FDA has approved two types of drugs for these purposes: cholinesterase inhibitors and memantine. Only cholinesterase inhibitors are used in the early to moderate stages of Alzheimer’s, whereas memantine is used for moderate to severe Alzheimer’s. In some severe cases, doctors will prescribe both at once. Delaying the worsening of symptoms makes medication worth it for many patients, although some side effect may be observed. Headaches, constipation, confusion, dizziness and nausea may result after using inhibitors or memantine, but delaying the effects of this cruel disease is worth it for most seniors. For many Alzheimer’s patients and families of patients, it is the behavioral changes that are the most trying part of coping with Alzheimer’s. When initially treating behavioral symptoms and issues, avoid medication if you can. 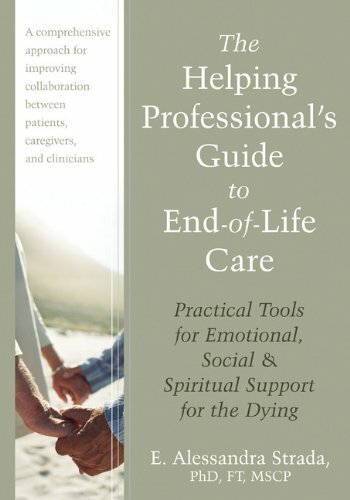 Instead, begin by taking steps to reinforce emotional comfort, or hire professionals or assisted living centers that are more equipped to do so. To this end, you may wish to rearrange or changing the patient’s environment to aid in this transition. Giving the patients adequate rest, consistently monitoring their comfort and avoiding confrontation are all great ways to treat behavioral issues without medication. If all else fails, you may need to treat the issues with medication. However, it is essential to note that no drugs are approved by the FDA to treat behavioral symptoms associated with Alzheimer’s, though some medications have been determined to help behavioral outbursts. As you might expect, behavioral issues stemming from Alzheimer’s become taxing on families, so an assisted living center is often the best way to provide proper care for seniors suffering from Alzheimer’s-induced irritability, anxiety or depression. Assisted Living Center is a Senior Living Directory dedicated to providing assistance to anyone with questions or concerns regarding living and care options for themselves or a loved one. The biggest problem with Alzheimer’s, (other than not having a cure) has always been that most folks aren’t diagnosed until they are far into the middle stages. Many of the signs and symptoms can be attributed to normal aging and may be neglected until it becomes much worse. My mother was so far into the disease by the time she was diagnosed that the standard drugs used to slow the progression no longer worked for her. Mom had hearing problems and we tended to blame poor hearing for many of her issues with conversations and other cognitive problems. To make matters worse, she did not want to wear her hearing aid so that served to reinforce our beliefs. Surely, Mom’s problem was nothing more serious than a deaf ear. So we were in a constant battle to fix her problem which we saw as a lack of hearing, instead of searching for the real answer to Mom’s problems. Alzheimer’s Dementia. The first time we took her the doctor for all the issues she was having, they gave her a simple word test and we knew, right away, she had Alzheiemer’s.